WRRC recently started contacting students who received funding through our Water Resources Institutes Program. Here are our first three stories on what they took from their funding and experience with WRRC, and what they are doing now. Brian was funded in 2010 for project 2010MA237B (Surface water-groundwater interactions on the Deerfield River) awarded to Dr. David Boutt of the University of Massachusetts Geosciences Department. 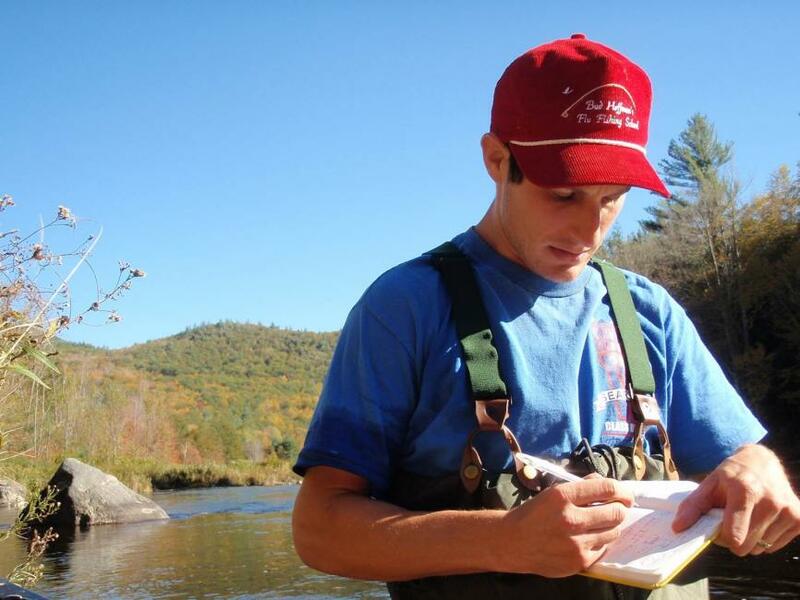 He is now a post-doc at UMass and head of his environmental education business. Dr. Yellen received funding for this fieldwork from the U.S. Geological Survey through the Water Resources Institutes Program (WRIP), which provides funding for a competitive research grant program run by the Massachusetts Water Resources Research Center (WRRC). This program allows the WRRC to provide both undergraduate and graduate students with extraordinary opportunities to conduct independent research on water resources related concerns specific to the Commonwealth of Massachusetts. Funding received from this program gives researchers the chance to broaden their horizons and develop new, complex, and/or interdisciplinary research. Since the early days of his research, Dr. Yellen has gained extensive experience in his chosen field. He has spoken to several watershed associations and planning boards on the importance of his research and its applications. However, his first research opportunity with WRIP remains with him. 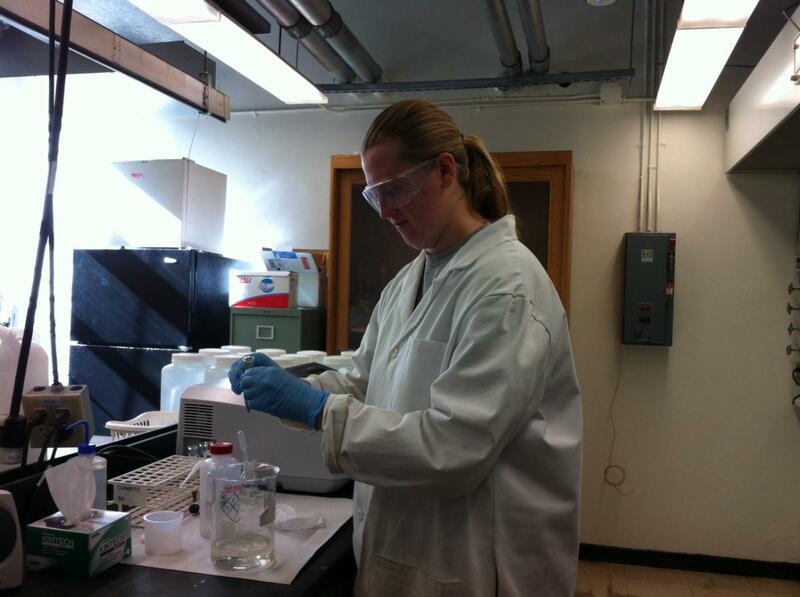 Brooke came to the Water Resources Research Center in 2012 as an undergraduate work-study student, funded under the WRIP Administration budget and through other WRRC projects. We kept her as a student employee for her four years at UMass. She is now working with the West Virginia Division of Forestry as well as partners in the Natural Resource Conservation Service. Brooke Andrew has been fascinated by water resources her entire life. Describing the experiences that led her toward a successful career in that field, Andrew reflects on a lifetime of love and curiosity for the bodies of water surrounding her. With clear focus and drive, Andrew wasted no time in realizing her ambitions. Her internship with the Sturbridge Conservation Department in high school set Andrew down the path towards the Water Resources Research Center (WRRC) at the University of Massachusetts Amherst, where her interest in water conservation flourished into a lifelong passion. During her time with the WRRC, Andrew participated in a wide range of water resources projects. A particular amount of work was focused on water testing at the Blackstone River, a project funded by the Upper Blackstone Pollution Abatement District. Andrew was involved in every aspect of the process, from prepping the lab to receiving samples to working on the project full time over the summer to assist the lab coordinator with chlorophyll sample analysis. Andrew’s other ongoing project involved making preparations for the annual National Institutes for Water Resources (NIWR) meeting. Each year at the NIWR meeting, congressmen and women are updated on the status of current water legislation as well as the recent projects funded by the WRRC. Andrew would annually prepare material for this meeting beginning in late December, eventually attending the meeting herself in her Senior year and speaking with congressional aides about issues and projects impacting water resources. The Massachusetts Acid Rain Monitoring Project (ARM) is a statewide coordination effort between employees and researchers at the WRRC and citizen volunteers to monitor the trends in surface water sensitivity to the negative impacts of acid rain – work that, according to Andrew, was “characterized by music and staring at a pH meter all day long.” Andrew participated in ARM every year with the WRRC. She spent her time prepping bottles for volunteers, ensuring that the necessary machinery was operating correctly, and generally smoothing the way for the vast amounts of data that would be pouring in annually throughout the month of April. With a degree in Natural Resource Conservation and Political Science as well as four years of practical, hands-on experience with the WRRC on her résumé, Andrew left her undergraduate life ready to take the next step towards her future. This step came in the form of the Patoka River National Wildlife Refuge, a conservation reservation in Indiana under the supervision of the United States Fish and Wildlife Service, where she became a Biological Science Technician. During her time at the refuge, Andrew led a group of equally enthusiastic high school students on various enhancement projects, creating and maintaining a clean environment while educating a future generation of scientists and conservationists. Her work with community outreach and involvement in water resources continues today as Andrew begins her AmeriCorps career with West Virginia office of the national fishery and watershed conservation organization Trout Unlimited. Andrew is currently working with the West Virginia Division of Forestry as well as partners in the Natural Resource Conservation Service to facilitate riparian tree planting, a project in which trees are planted along streambanks, in mid- to late- October of 2016. The project is designed to engage her fellow AmeriCorps workers as well as community volunteers in the conservation process. Much of Andrew’s work involves this kind of “hug[ging] that line” between volunteer and employee and inciting an urgency in her coworkers and the community to actively participate in the protection of water resources. Though she is now several states and a world of experience removed from her time with the WRRC, Andrew still remembers the place that gave her a push towards her goals. Chingwen was funded in 2012 for project 2012MA352B (Land use, land cover and stormwater management in Massachusetts under conditions of climate change: Modeling the linkages) awarded to Dr. Elizabeth Brabec of the University of Massachusetts Landscape Architecture and Regional Planning Department. She is now an Assistant Professor of Landscape Architecture and Senior Sustainability Scientist at Arizona State University. “[I] started getting involved [with] stakeholders and the public community to work together on the issues,” says Dr. Cheng, describing this new kind of community input in the water management sector as “the most rewarding” aspect of her current research. Dr. Cheng completed her undergraduate degree in Horticulture and Landscape Architecture at the National Taiwan University and her master’s degree in Landscape Architecture at the University of Michigan before attending the University of Massachusetts (UMass) Amherst to pursue her PhD in Regional Planning with partial funding from the Massachusetts Water Resources Research Center (WRRC). Dr. Cheng first encountered the WRRC in 2010 when she spoke at the 7th Annual Massachusetts Water Resources Conference: “Planning for Climate Change: Impacts on Urban Watersheds and Implications for Regional Planning.” This connection led to much greater opportunities with the WRRC’s Water Resources Institutes Program (WRIP) from which Dr. Cheng, in conjunction with and under the advisement of Professor Elizabeth Brabec of the Landscape Architecture and Regional Planning Program at UMass, received partial funding for her doctoral research on flood mitigation in urban environments. This research focused on the use of hydrological modeling to understand the impacts of climate change on flooding and the effects of green infrastructure practice on restoring water flow in the ecological processes of the watershed. These models help urban areas to understand the issues presented by their current infrastructure in regard to climate change as well as possible ways to implement a more environmentally sound framework in the future. Due in part to her work on her graduate research at UMass, Dr. Cheng was selected to attend a 2012 summer academy in Munich, Germany entitled “From Social Vulnerability to Resilience: Measuring Progress toward Disaster Risk Reduction” organized by the United Nations University-Institute for Environment and Human Security and the Munich Re Foundation. One of just twenty selected PhD students, Dr. Cheng was able to share her research on social vulnerability and risk assessment with scholars from around the world, creating connections that would last her entire career. While in Massachusetts, Dr. Cheng had the opportunity to work within this field of study at the National Science Foundation (NSF) Urban Long-term Ecological Area Exploratory in the Boston Metropolitan Area. Alongside UMass Professor Paige Warren, Dr. Cheng helped the project team to develop urban growth scenarios in the metro area and model land use and hydrological changes in the Charles River watershed. Their work focused on the understanding of how urban growth and climate change have interacted to impact both social and ecological aspects of urban environments. This project introduced the identity of local stakeholders directly into the research and tied together environmental science and community input to create a mixed methodology that Dr. Cheng has carried over into her subsequent work.